Buying a timeshare is like buying a vacation property or a second home except that you are not responsible for paying taxes or finding renters when you're not there. Timeshare management companies now give you the option of picking properties that are right next to the beach or those on the top of a snowy mountain. You can get one with just one bedroom or one with enough space for all your friends. Before you sign on the dotted line and become a timeshare owner though, there are three questions you must ask. 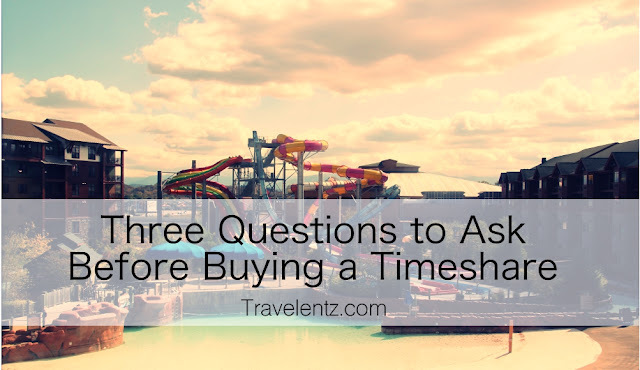 Always ask about the total cost of buying a timeshare instead of just the quoted price. The price that a seller quotes is usually for the most basic package, which may only let you stay on select dates out of the primary season. Some sellers will not tell you that there is a maintenance cost added up that covers the upkeep of the timeshare. If the cost is higher than you would like, you can usually haggle and get that price down. Can You Change Your Details? When you buy a timeshare, you typically pick the type of unit that you want and the dates that you want to stay. Before you sign your contract though, ask about what happens when you want to change any of those details. You might want to upgrade to a bigger unit after you have kids, move your vacation to a different date or extend your trip by a few days. Most management companies will let you make those changes for a small fee, but some will not let you make any changes and will still charge you for the year, even if you can't be there. What Happens If You Sell? Those searching the web for “get rid of my timeshare” are often buyers who didn't ask questions before they bought one. This includes those who never stopped to look at what happens when they decide to sell. Some timeshare owners require that you turn your ownership back over to the company, which will sell your unit to someone else. Others will limit where you can sell the property and the price you can ask for in your listing. Getting answers to all these questions is the best way to ensure that you make a smart decision when buying a timeshare.